Work is progressing (albeit slowly) in the reclaiming of my allotment. I usually have a couple of hours there every Sunday morning and reckon that at this rate it will take me a month of Sundays to get it into shape – so watch this space. I’d been given some spare runner beans by my neighbour, so last Sunday’s visit was dedicated to getting them in. I have to say that I’m pleased with the results – if you ignore the rest of the plot, which is pushing up dandelions and precious little else – it actually looks as if I know what I’m up to. What is disappointing was that very few of the seeds I’ve planted have germinated. 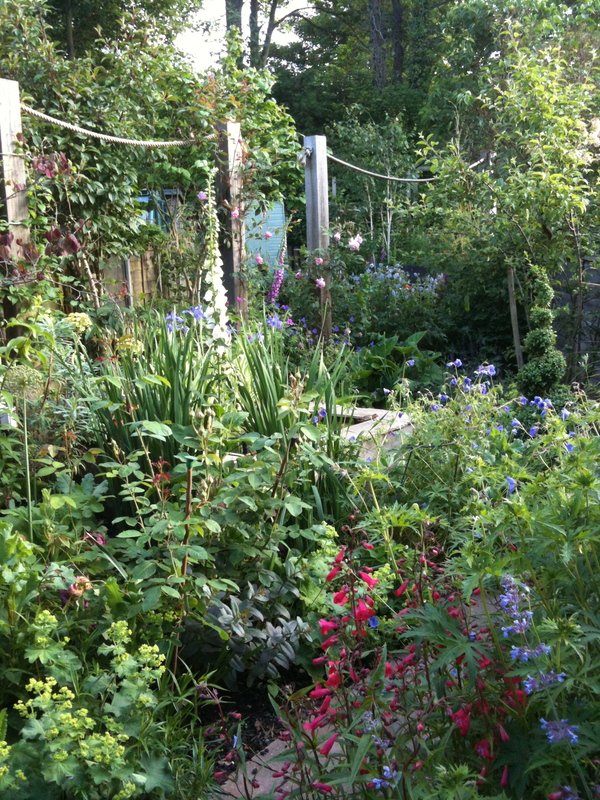 A couple of weeks earlier I sowed some Larkspur, Nigella and some lovely dark blue cornflowers in the rhubarb bed – there’s a whisper from the Nigella but nothing else. In the large bed, as I dug out the dandelions I’ve sown a green manure, Phacelia tanacetifolia, which should be good for cutting, for bees and for digging back in. Again, not a sausage. I’m hoping it is just the incessant wet gloomy weather we’ve been having that is putting off the germination – and who can blame them? But the weeds are not having any trouble! 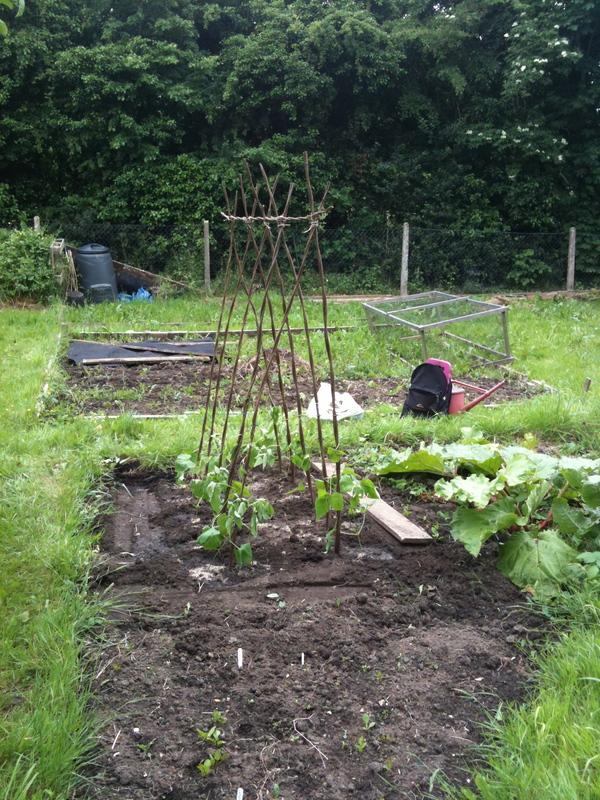 This entry was posted in Adventures in my allotment, In my garden and tagged allotment, gardening, rain. Bookmark the permalink. I sowed yet more runner beans this morning as few have appeared so far! I agree about the weather being the main reason for non, or very slow, germination. It’s hard work clearing a plot isn’t it!